In honor of the original radio broadcast of H.G. Wells’ The War Of The Worlds, here is the audio of my favorite rock opera, which is an impressive adaptation of the original story in music. And if you think the music is awesome, you need to see the concert…it is UNBELIEVABLE. AMC, which typically doesn’t wait to renew shows, gave The Walking Dead a seventh season today, two days prior the Episode 4 of the sixth season where we were already handed a cliffhanger last Sunday. Episode 3 took in 18.2 million viewers. The Talking Dead, the aftershow hosted by Chris Hardwick, also has been renewed. It’s really not surprising given the way they’ve set up her character, but Maisie Williams is not done yet with her appearances on Doctor Who. Williams will return in the 10th episode, “Face The Raven”, according to writer Sarah Dollard speaking at a panel at MCM London Comic Con, where showrunner Steven Moffat also insisted that Williams is not becoming the new companion with the upcoming departure of Clara Oswald (Jenna Coleman). However, it seems apparent that she is set up as a recurring character, ala Captain Jack Harkness and River Song. In fact, in the Doctor even addressed the issue of Harkness, the other character that became immortal because of the Doctor, in “The Woman Who Lived”, informing Ashildr (now going by “Me”) that she may come across him in the future. Fun fact – the Doctor even made a deeper reference to the Great Fire of London – which in the episode “The Visitation” during the Fifth Doctor’s reign was started by the Terileptils. “The Visitation” is currently available on Netflix. I finally got to see The Martian this weekend thanks to several hours free in the middle of my non-stop schedule lately, with nothing to do while trapped in Boston. I described Gravity as “the worst work day ever”. But it was relentless – a constant series of just bad things happening that just somehow impossibly not end up killing the protagonist. Great visuals, but TOO intense and non-stop. The Martian is Gravity done a TON better. And more enjoyable. In The Martian, as seen in the previews, a sudden massive storm forces the abort of the Ares III mission on the surface of Mars. While attempting to reach the ascent vehicle, astronaut Mark Watney is struck by a piece of debris, and his bio monitor indicates that his suit had been ruptured. The rest of the crew are unable to locate him before he would likely run out of air, and are forced to take off. Miraculously, Watney survives and makes it back to the habitat, and realizes his situation. He’s trapped on another planet alone, communications are out, a rescue mission would take 4 years to reach him without nearly enough food and many things that if they broke would kill him. The Martian dispenses with the intensity for realism. It isn’t a constant series of bad things happening, but there is the constant threat of it. But Watney is given the chance to think through his options, and not have to improvise every second. He works through the solutions and, for the benefit of the audience, talks through them via the video logs he makes in case anyone can retrieve them. Matt Damon did a spectacular job as Watney. He managed to effectively bring the humor to a character in a dire situation. He appears defeated when things go south but never gives up. And everything he does is believable, and for the most part, accurate. As part of that, in some cases the technospeak might lose some portion of the audience – such as all the talk about intercept velocities. But it is something that they had to deal with, so the audience had to deal with it too. Visually, the movie is spectacular…the flat Mars landscapes punctuated by tall, wind-carved mountains, looked incredibly realistic. I was VERY impressed. They did a spectacular job of not making it look like he was just filmed in a greenscreen room and everything was just composted in. I believe The Martian is probably the best movie I’ve seen in years. 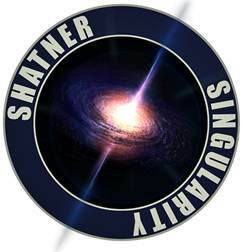 LNL Partners, whose proprietary Cinematic Graphic Novels™ was introduced this past summer with William Shatner’s Man O’ War, has launched a special William Shatner imprint entitled Shatner Singularity. In addition to publishing works authored by William Shatner in LNL’s Cinematic Graphic Novel™ format, Shatner Singularity will also offer the latest graphic novel from comic book legend Stan Lee and his company POW! Entertainment. The specific individual titles from William Shatner and Stan Lee will be revealed during a much-anticipated panel presentation featuring the two pop culture giants to be held at Stan Lee’s Comikaze Expo on Sunday, November 1 at the Los Angeles Convention Center. “We are thrilled to unveil the Shatner Singularity imprint and its debut releases from William Shatner and Stan Lee at Stan Lee’s Comikaze Expo. The team at LNL Partners has enjoyed the privilege of working directly with these two legendary industry icons to deliver to fans worldwide Cinematic Graphic Novels, a new and innovative way to enjoy comic book entertainment. Publishing Stan Lee and his newest literary work under the imprint adds yet another level of tremendous excitement to the Shatner Singularity brand,” said Mariano Nicieza, LNL Partners Co-Owner. 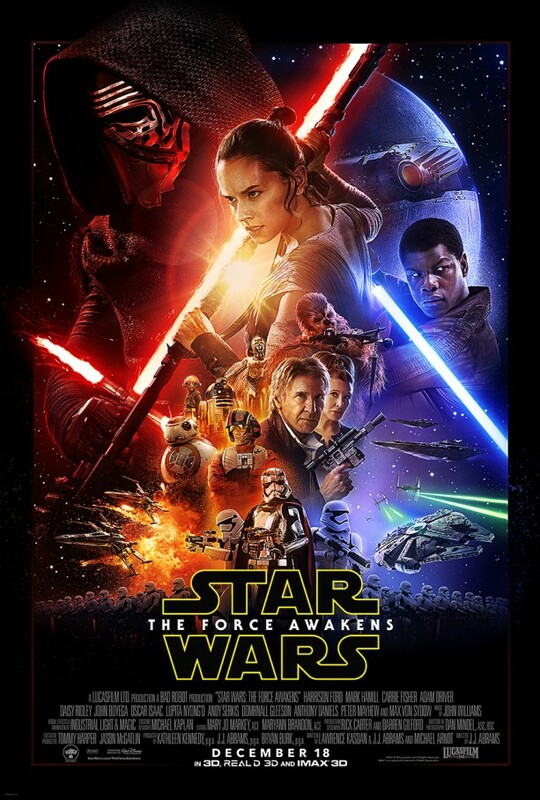 “With its Cinematic Graphic Novels™ LNL Partners has created a unique new genre. After proving to be a powerful and compelling platform for Man O’ War, I am delighted to have the format serve to showcase other works under the Shatner Singularity imprint. It is a particular joy and honor for my imprint to host work from my friend Stan Lee. As Stan himself is fond of saying, ‘nuff said’!” said Shatner. “I’m thrilled to be working with my friend William Shatner’s new imprint. I look forward to sharing details of my new project at Comikaze Expo!” said Lee. Jointly developed by LNL and Panelfly, the Cinematic Graphic Novel format delivers a groundbreaking form of digital comics that combines moving panels, a new stylistic dimension in animation, in-story sound effects and a music soundtrack to usher in an enhanced reading experience. HotShot Trailer: Star Wars: The Force Awakens third trailer! Syfy’s drama Defiance has been canceled, not long after the network canceled Dominion. The show was part of a major experiment by the network, teaming up with videogame maker Trion Worlds to make Defiance a “transmedia” show, existing both as a TV show and a massively-multiplayer game online, with events of one showing as having an effect on the other. Trion Worlds has stated the game will continue. Ratings fell each season, with shifts in what day it aired, with the finale netting 1.925 million viewers and a 0.51 18-49 rating in Live+3. The show recently concluded it’s third season in August, and the season finale did have a bit of finality to it, so ending the series where it did is satisfying at least. Marvel and Fox (who holds the movie and TV rights to Marvel’s X-Men franchise) are working together on a pair of TV projects based on X-Men characters for two of Fox’s networks. Legion, based on the character of the same name, has a pilot order from FX. Fargo creator Noah Hawley will write and exec produce. Legion is David Haller, who is in fact the son of Professor Xavier, and has suffered from multiple personality disorder for all his life. But his splintered personalities eventually manifest different mutant abilities. Hellfire (the working title) is still in development at Fox, and follows a Special Agent that discovers that a woman with uncanny powers is working with a secret society of rich people called the “Hellfire Club” in a plot to take over the world – the same group led by Sebastian Shaw in X-Men: First Class. The show was created by Evan Katz (the 24 franchise), Manny Coto (the 24 franchise), Patrick McKay (Star Trek 3) and JD Payne (Star Trek 3). The X-Men movie heads Bryan Singer, Lauren Shuler Donner and Simon Kinberg will executive produce both series along with Jeph Loeb and Jim Chory from Marvel TV. Interestingly, neither series will bear the X-Men label, but will be set within the same universe as the movie franchise.